Artscape Theatre Centre is excited to form part of the third leg of the International Cultural Diversity in Urban Space programme in 2019. Following the mobility held in Italy in 2018, the next leg will see Artscape employees heading to Budapest, Hungary, from the 26th January to 1st February 2019. The third phase of the project, comprises of discussions and workshops around developing skills and abilities to adapt to economic, social and political influences affecting the practice of Arts in a country. A strong focus on acclimating challenges related to the organisation of cultural events and securing public spaces will be addressed. The project aims to develop international dynamics of creative exchanges and increased skills of transnational cooperation in learning, related to the priority of securing public spaces. The project, funded by The European Commission, is coordinated by Samba Résille (France) in partnership with Artscape Theatre Centre (South Africa), Enjoy (Italy), Suba Attila and The SoulFool Band (Hungary). 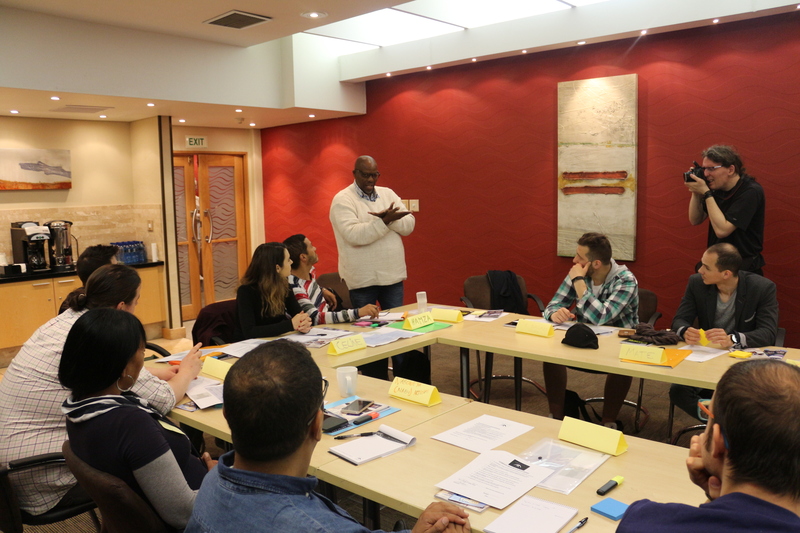 Charles Banjatwa, Community Liaison Officer at Artscape Theatre Centre, delivering a workshop to the organisations participating in the Cultural Diversity for Urban Spaces programme.